Lake Dora is the most prestigious of the Harris Chain Lakes. This is due to the fact that the historic lakefront town of Mount Dora sits on its eastern shore. Mount Dora was settled in the 1860s and many of it's historic buildings are still standing. The Mount Dora Art Festival attracts over 200,000 people to this one event. Numerous other fairs, festivals and shows are held at this popular tourist destination. Side walk cafes, antique shops and upscale restaurants are open to visitors year round. A highly recommended ritual is to have an evening drink on the back deck of the Pisces Rising Restaurant. Here visitors and locals alike share a drink and view the incredible sunsets over Lake Dora. 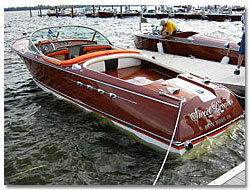 Lake Dora is the home of the Antique Boat Festival which recently moved to the newly renovated Tavares waterfront. Numerous antique boat lovers live on the lake and it is a common site to see them cruising the lakes in their beautiful wooden boats. Lakeshore Drive in Mount Dora is the "In-Place" to live and a drive down this beautiful and scenic road connecting Mount Dora and Tavares is a must. The picturesque two lane road runs along the lake with fabulous multi-million dollar homes lining both sides. The town of Tavares is the county seat and has undergone a significant renaissance in recent years. 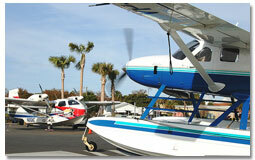 The downtown area, formerly filled with law offices and bail bondsmen, is now "Florida's Seaplane City". Forward thinking government officials backed by local taxpayers have created a unique downtown and waterfront area. Visitors fly-in by seaplane, which makes for interesting viewing. Al's Landing is a popular waterfront restaurant that overlooks the sea plane base. The downstairs area is in casual style with hand food and nice salads. Prices are competitive with local chains. The upstairs restaurant "Al's Top Shelf" houses an upscale restaurant with gourmet food and liquor. It's somewhat pricy, but it's worth the money. We dine there on special occasions and enjoy a quiet evening with friends, nice music and the view across the lake Dora and the marina. The Dora Canal is very popular with tourists. Numerous boat tours are available and a cruise down the Dora Canal is a great place to see Florida the way it was before man arrived. Huge ancient cypress trees line the canal with aquatic birds and animals a common site. Occasionally, a family of otters makes an appearance along with the occasional alligator or two. The winter weather in Mount Dora is great. An occasional cold front drops by for a day, but the average daytime temperature in January is in the low seventies. Lake Dora has a number of upscale lakefront gated communities. The Deer Island Country Club is built around a challenging golf course. 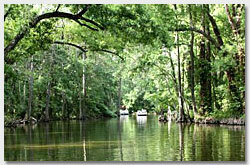 The Community of Squirrel Point on the southern shore of Lake Dora is built in a natural forest setting. The Community has their own boat ramp and tennis courts for the use of the residents. On the north shore, a new gated Community named "The Point" has a small number of exclusive waterfront and dry estate homes. The gates are closed most	of the time and access is limited. If you have any questions about Lake Dora, please contact us.